If you own a commercial property in Kansas City Metro then you are aware of the way that the extreme weather that is common in that area may affect your business, especially during the spring season when tornado damage is prevalent. The storm systems that frequent the city make leakage and flooding a consistent issue that business owners have to deal with on a regular basis, sometimes even needing to shut down their property in order to make the necessary repairs. We understand how important it is to get your business back up and running after it has been flooded, and we guarantee to work diligently to completely remediate any water damage. So, call our commercial property damage Kansas City Metro team when your business has been affected by any type of disaster and we will do whatever it takes to give you the fresh start you deserve. Although Kansas has experienced tornadoes throughout the year, 75% of them occur in the spring and summer, with the peak season being between the months of April and June. 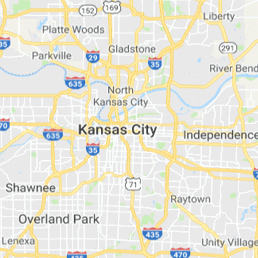 Kansas City Metro is part of an area known as Tornado Alley since there are so many tornadoes that pass through that part of the country. Their frequency is so abundant due to the warm winds that flow northwards from the Gulf of Mexico. These whirlwinds can be dangerous and destructive, resulting in property damages and even death. They are the result of severe thunderstorms, so the weather conditions that accompany tornadoes are quite ominous. Signs that a tornado is approaching your area include the appearance of dark clouds in the sky, a greenish colored sky, hail, heavy rain, continuous thunder rumblings, and lightning. Since winds can reach speeds of up to 200 or more mph, it is important to take cover whenever a warning is issued in your area. The sirens mean that a tornado is approaching and you need to get underground quickly. If a tornado causes structural damage to your commercial property, 911 Restoration Kansas City Metro can provide all the repairs necessary to fully recover your business after a storm. Tornadoes and thunderstorms have the ability to cause severe water damage in your commercial property, as well as structural damage if the winds are strong enough. Heavy rainfall can cause water to leak into your property’s roof, especially if a tornado has blown shingles off and exposed cracks. 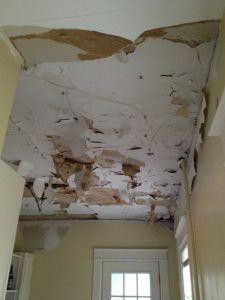 Depending on the severity of the storm, there can be significant leakage into the property’s interior. It is also common for thunderstorms to create enough rainfall to trigger flash floods, especially if the ground has already been over-saturated with water from previous storms, or if the ground is too dry to absorb the rain at a proper rate. Either way, these issues may cause you to close your business and solicit the help of professionals to come and mitigate the damage. 911 Restoration Kansas City Metro is able to provide you with water damage restoration services literally any time you call, day or night. We want to repair your property quickly so you can resume business as usual, so call our commercial property damage Kansas City Metro experts the moment you begin to experience storm damage in your building.